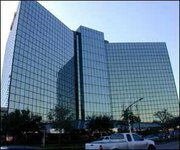 The Houston Texas campus for MyComputerCareer.com is now open! Enrollment for the first certification training classes began on Monday, July 26. The campus is located at 5177 Richmond Ave. It’s on the first floor of the “Chase” building near the Galleria in Suite 110. Classes are expected to begin in late August. MyComputerCareer.com is unique among IT certification schools, broad-based technical schools, and other degree programs in computer science in that it specializes in the special needs of career changers. Students earn up to 10 certifications from Microsoft, Cisco, and CompTIA in three to eight months. The school also offers extensive Career Services support that features a lifetime commitment to help the career changer not only obtain computer industry employment but to advance in his/her career over the long term. Graduates are prepared technically, to work in a wide variety of IT jobs from Desktop Support to large scale Network Administration. The Houston center is the third campus for MyComputerCareer.com. There are also schools in Dallas and Raleigh, NC. Two additional training centers are planned to open later this year or early in 2011; one in Charlotte, NC and one in St. Louis, MO.